Skylights are less obvious. Where the drop still exists, there is now a glass or plastic covering separating you. This may lead to a false sense of security. However, the reality is glass and plastic break, not protecting you from the real hazard. Most skylights are not designed to be structural. Meaning the manufacturer is not anticipating your body weight striking or leaning on their product. They are designed to let in natural light without letting in water and debris from the outside. Skylights are a hole in your roof. 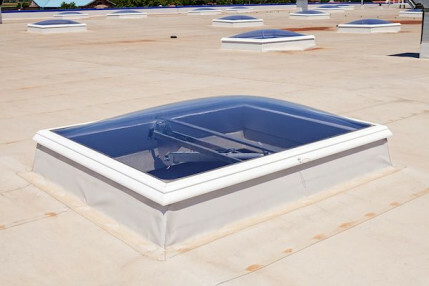 Some argue that once the skylight has glass or plastic covering it, it is no longer an ‘opening’ or ‘hole’. This is clearly not the case according to OSHA. There are several solutions. 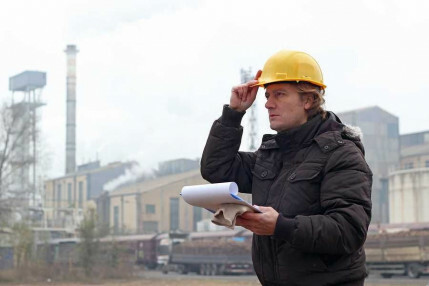 The requirements for general industry and construction are slightly different, so it is essential that you identify which standard applies to the type of work you are doing. Construction differs slightly in its requirements for skylight protection. OSHA has more specifics on this topic when it comes to application and loading requirements that we won't go into here. To learn more, reach out to our team of OSHA specialists here. 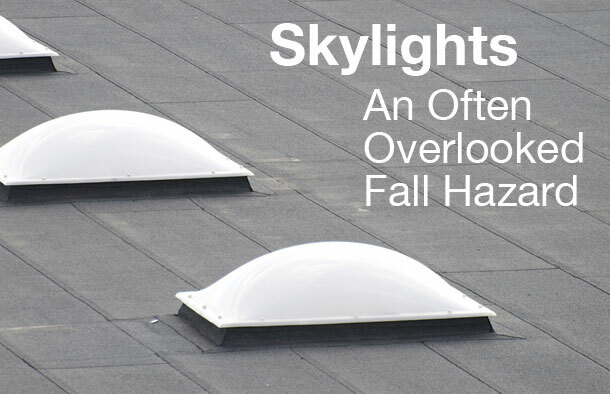 In the end, a skylight is a fall hazard that claims the lives of workers each year. Determine the proper protection and install it before further maintenance work is done on your roof. As a construction company, establish a safety plan to work around skylights just as you would for fall protection in any other stage of your project. Many rooftop hazards jeopardize the lives of those accessing the roof for work. Allow us to survey your roofs and identify your hazards.